Delegates from the Asia Cruise Cooperation (ACC) partners delivered key updates and initiatives to media and cruise industry executives, and noted its fifth anniversary at an event in Miami. Cruise tourism in Asia has been identified as one of the fastest-growing sectors in tourism development, the ACC said, with the number of cruise passengers increasing by an estimated annual average of 33%, from 775 000 in 2012 to nearly 4.26 million in 2018. To capture the opportunities from the growing Asian cruise market, ACC has been working on various kinds of consumer and trade marketing activities in the past few years, and the ACC partnering destinations are enhancing their facilities, policies and infrastructure, as well as diversifying their destination appeal, to encourage more ship deployments in the region and to attract more visitors to the partner destinations. This year, ACC partners have joined hands to launch a regional TV program, called “Cruise the World”, in cooperation with the Discovery TLC channel. “Cruise the World” brings together four hosts who are passionate about the oceans, pairing them as cruise mates and travel companions on unknown journeys to explore the best of coastal destinations and cruise ships. Through the program, ACC not only promotes partner destinations, but also generates consumer demand for the cruise ships deployed in the region. International air routes continue to expand for travelers visiting Hainan, with plans for 28 new routes to destinations in Europe, Oceania, and America to be added by the end of 2019. The convenient Visa-Free and Visa-on-Arrival policies have also contributed to the city’s popularity among foreign tourists. Residents of 59 countries, including those in North and South America, Southeast Asia and Western Europe, can travel to Hainan for as long as 30 days without a Chinese visa. Infrastructure remains at the forefront of Hong Kong’s tourism development. 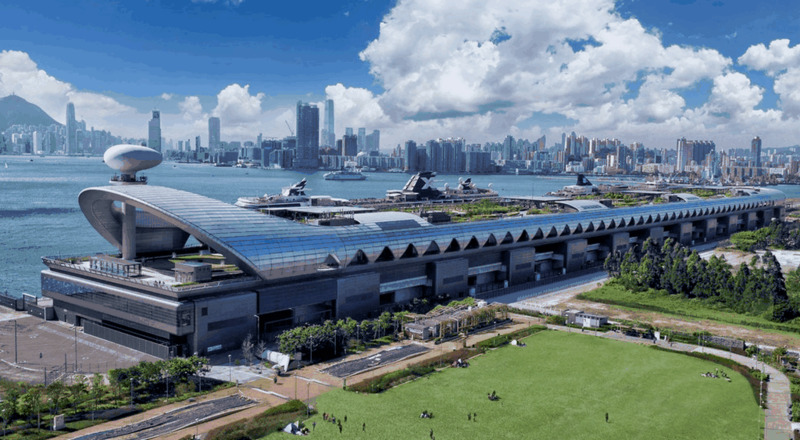 Pre- and post-cruise travelers can now reach 44 mainland cities non-stop from Hong Kong via the recently opened Guangzhou–Shenzhen–Hong Kong High-Speed Rail. The new Hong Kong–Zhuhai–Macao Bridge, also known as world’s longest sea crossing, cuts the travel time between Hong Kong and Zhuhai, providing tourists with convenient access to and from the mainland. A new passenger terminal with the capacity to accommodate 220,000-ton cruise vessels will be opened at the port of Incheon in April, housing a shopping and resort complex. Jeju will host the 2019 International Cruise Forum in August to promote cooperation and the sustainable growth of the Asian cruise industry. Port development and expansion continues in Northern Philippines, with the development of the Salomague and Currimao ports for cruise ships while Subic Port is becoming more popular as a new port of call in the country. Solaire Cruise Center, the first cruise-dedicated terminal in Manila, is being developed by the Solaire Group, and is expected to be completed by 2021. The cruise terminal in Xiamen will be able to accommodate 220,000-ton cruise ships starting in mid 2019.